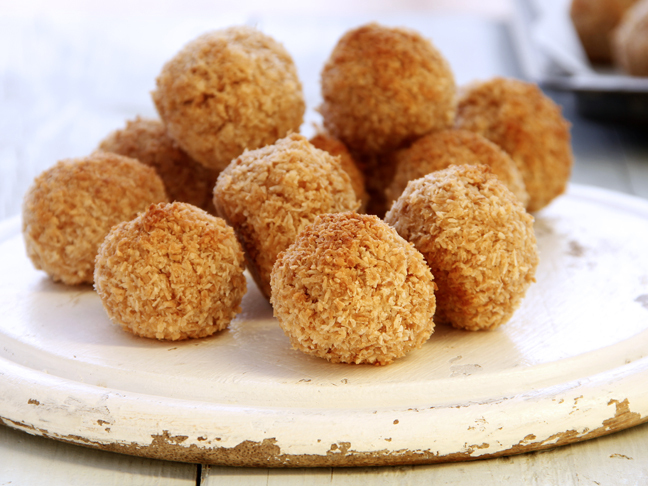 Be sure to keep those popsicle sticks after the kids finish their favorite warm weather treats. 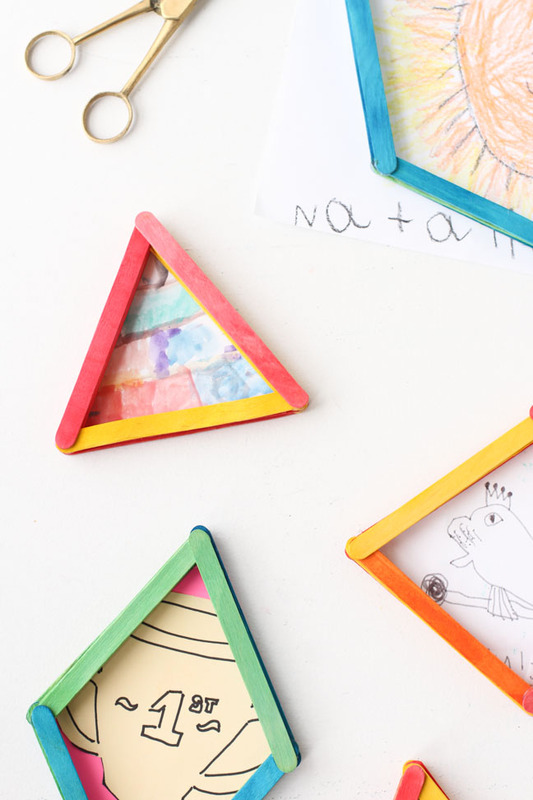 You can reuse popsicle sticks to create cool geometric picture frames that feature your children’s amazing artwork. 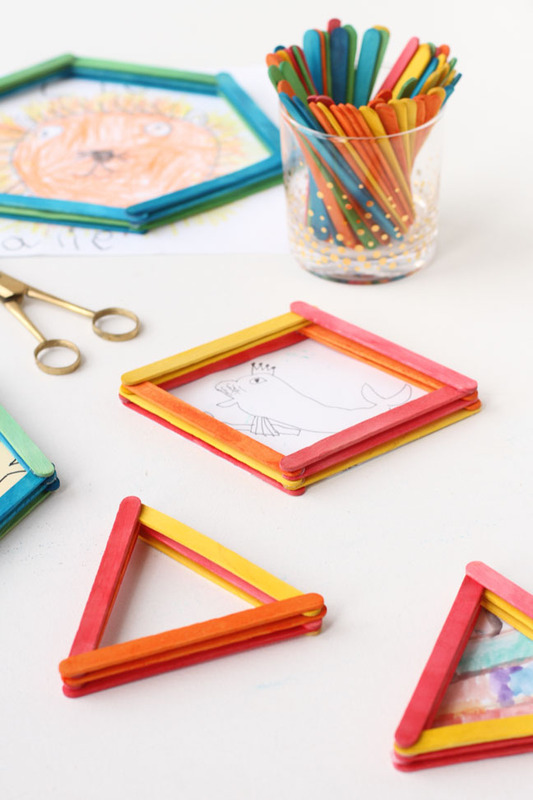 These frames are basically free to make! 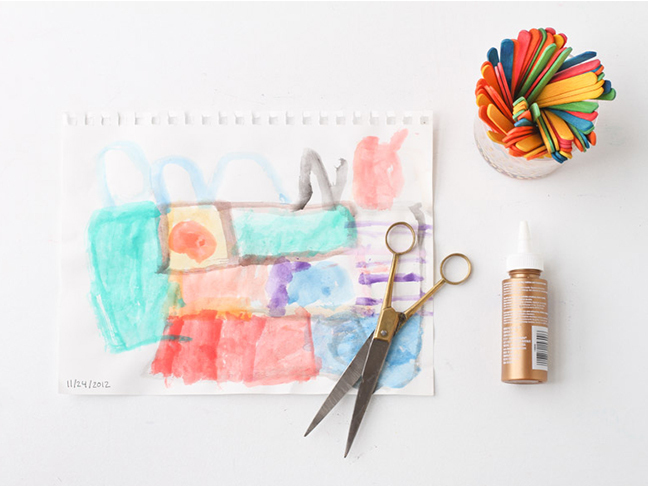 Step 1: Start by scanning an original piece of art from your child. 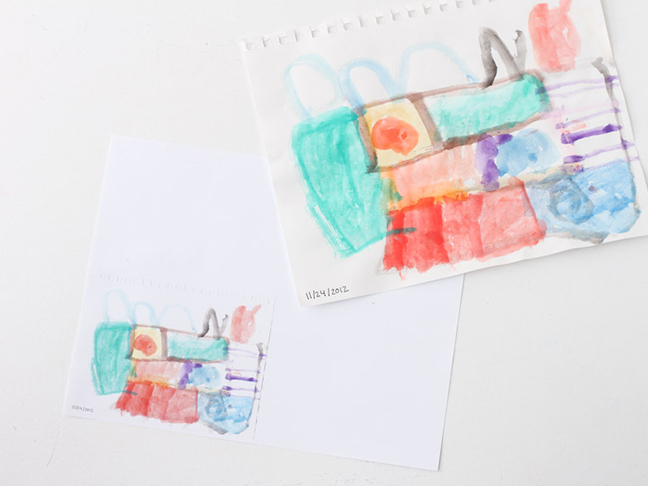 Then, scale the size down by at least 50%, depending on the original size of the artwork. You’ll need to scale the art down to a size small enough to fit inside a popsicle stick frame. Step 2: Print the scaled down artwork out. 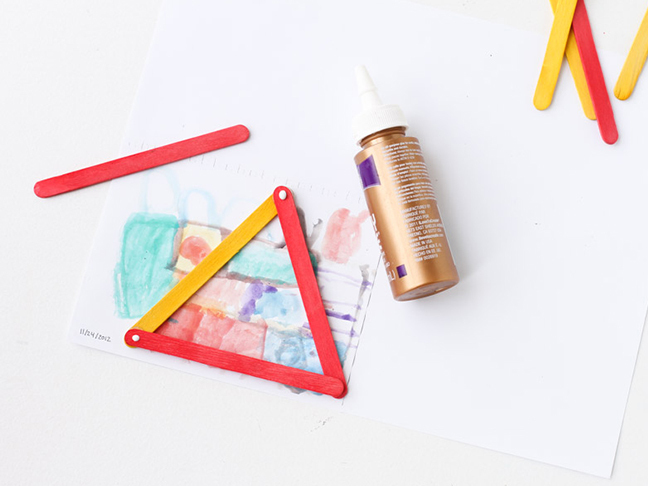 Step 3: Now that the artwork has been sized down, place the popsicle sticks over the art to come up with a geometric shape that will work (in this case, a triangle). 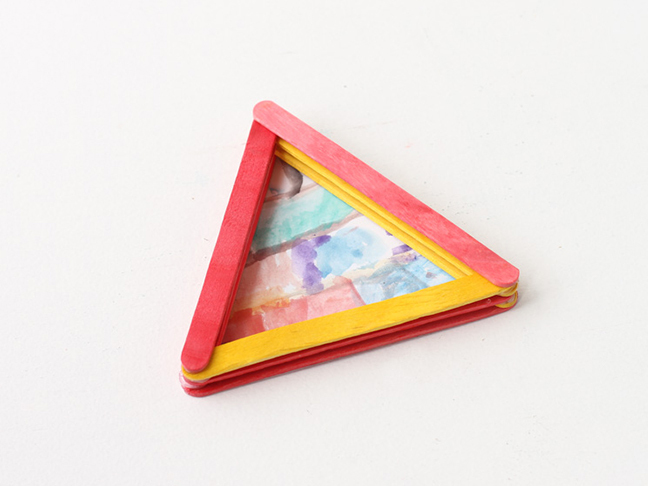 Step 4: Next, add a dab of glue to each end of each popsicle stick and secure into triangle shape. Continue this process until you’ve reached the desired number of layers. I did three layers of popsicle sticks all the way around, and that seemed to achieve a good height without being too tall. 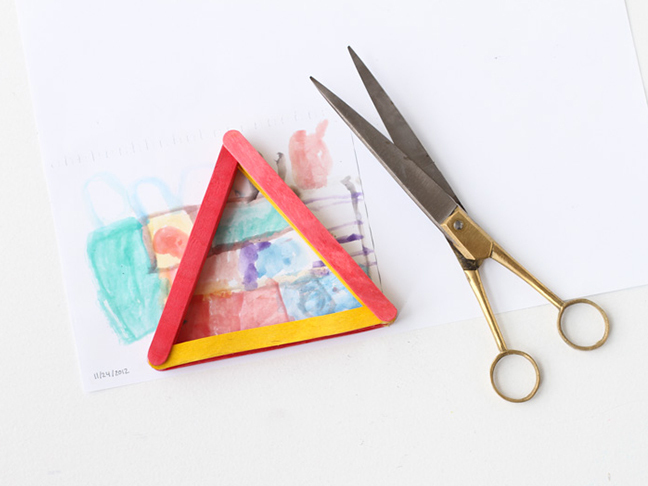 Step 5: Next, cut the artwork to fit the triangle frame. 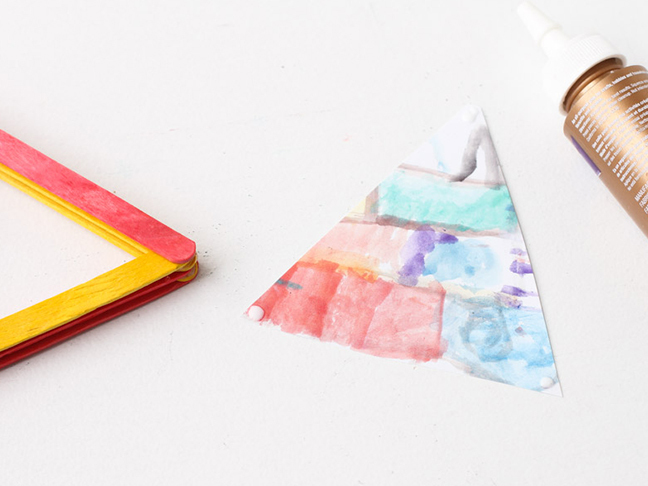 Step 6: Add a dab of glue to each corner of the artwork. 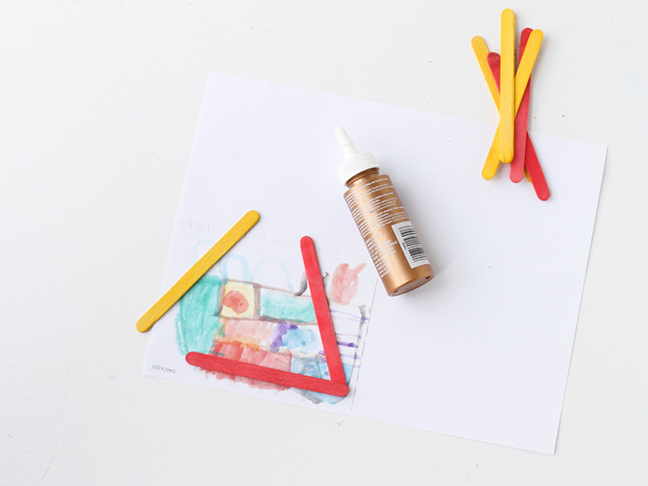 Step 7: Attach artwork to the back of the popsicle stick frame and let it dry. Then, it’s ready to use. 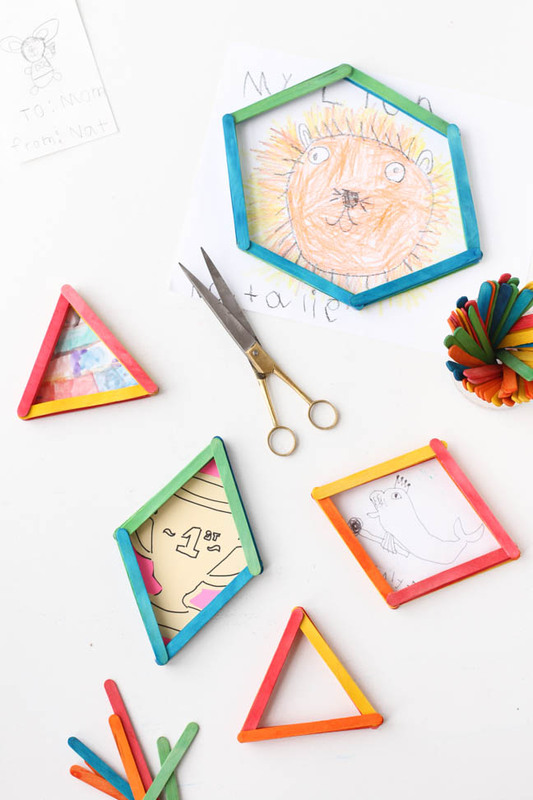 Take it further: Add magnets to the back of each frame to create a magnetic fridge frame.